Discover the truth about the Diamondback Overdrive Carbon Pro 29er in this review. Mountain biking is a relatively solitary sport consisting of just you, your bike and the trail. When I first started mountain biking, I didn’t want to spend a ton of money. My first mountain bike actually cost under $1,000. That bike served me well for many years. But, as my love of mountain biking grew, I eventually became interested in finding a better bike. The problem is there’s practically no limit to how much you can spend on a mountain bike. I knew I’d have to spend more than a $1,000, but I didn’t want to just foolishly throw my money away. The best, top-of-the-line bikes aren’t always the most expensive. Understanding the specific features of the bike, as well as your needs as a rider, is the key to finding a bike which you’ll be happy with. The Diamondback Overdrive Carbon Pro 29er is considered one of the fastest, highest quality mountain bikes on the market. But is it the right bike for you? If you’re in a hurry and just want to see the best price for the Overdrive Carbon Pro, we got you covered! Click here to see the best price for the Diamondback Overdrive Carbon Pro 29er. 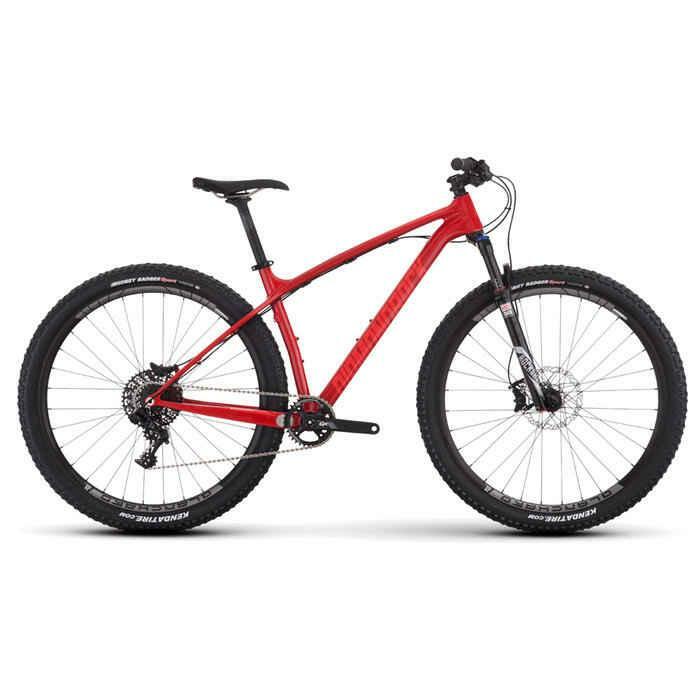 1.2 What is Diamondback Overdrive Carbon Pro 29er? 1.3 What Is It Best For? 1.5 What Makes the Diamondback Overdrive Carbon Pro 29er Unique? A 29er is a good option for those who are hitting some more challenging trails. Having 29″ wheels gives the rider a little more control and comfort as they take on rougher terrain. These wheels will help you exert less effort once you’re moving and the larger contact area of the tread is beneficial for corners and climbs. 29ers also work well in terms of shock absorption which can help to smooth out the trail a bit and reduce rider fatigue. Keep in mind that 29ers are also going to be a little more difficult to get going and bigger wheels typically means a little added weight as well. However, the trade-off is well worth it in my opinion. 29er’s are a good choice if you’re on the more experienced side of the spectrum and plan on hitting more difficult trails. These wheels come in handy when you need to navigate steeper hills as well as sharper twists and turns and rougher terrain. Because the surface area of the treads is larger, these will grip better and provide you with a smoother ride overall. There aren’t many drawbacks to using 29er’s, but they’re not necessary for riders who are either novices or don’t generally take to rougher trails. 29er’s are typically on the heavier side and are more challenging to accelerate, so using them on smoother terrain without many climbs or dips would only create more work for the rider. If you’re just starting out or the trails you ride are fairly easy to navigate, you’d be better suited choosing a lighter bike with smaller wheels for a more comfortable ride. What is Diamondback Overdrive Carbon Pro 29er? If you’re looking for an MTB at a great value, this is it. 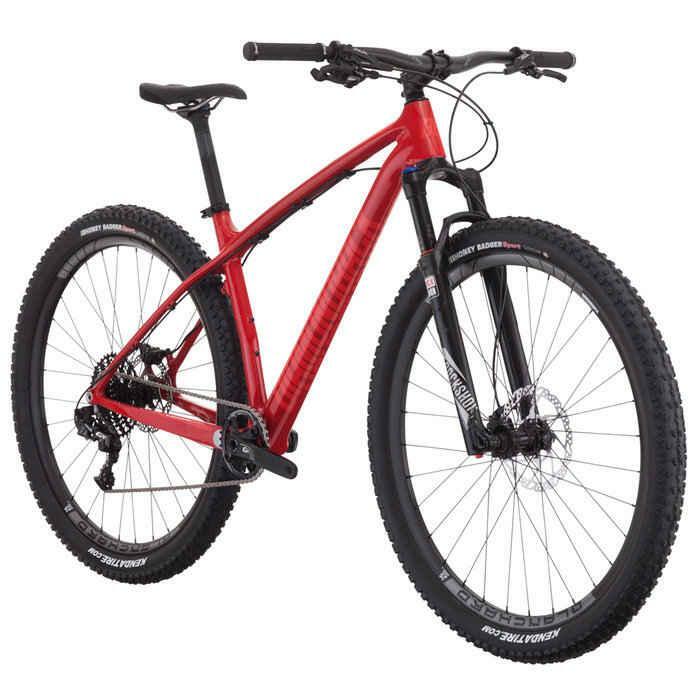 This is an upper mid-range mountain bike designed for experienced riders. Speed is the big selling point here. This is Diamondback’s fastest mountain bike. While you’ll practically fly down the race course, the bike also performs well on downhill trails, fire roads, single-track trails and other off-road situations. The Diamondback Overdrive Carbon Pro shares many characteristics with the Breezer Supercell Pro 29er. While the Overdrive Carbon Pro 29er is the faster bike, the Breezer Supercell is designed for longer distances. If you’re mainly interested in endurance biking across long distances, you’ll want the Breezer Supercell Pro 29er. If speed is your main concern, stick with the Diamondback Overdrive. This bike is best for anyone with the need for speed. The lightweight carbon frame, 29” tires and hardtail design let you tear through the great outdoors with ease. You’ll roll over roots and rocks off-road while also hitting high speeds on tracks and trails. The bike is built for downhill, cross country, racing, Enduro and more. This is a hardtail mountain bike. A hardtail bike has a solid frame with a suspension front on the front. The other type of bike is a full suspension bike. A FS bike has the same fork as the hardtail, but the frame consists of two separate pieces joined by pivots. The two pieces are a front and rear triangle. A hardtail bike efficiently transfers pedaling power to the rear wheel. This lets the bike accelerate quickly. A hardtail bike is also easy to keep at a high speed for a long period of time. Considering this bike is designed for max speed I’m not surprised to see the hardtail design. Hardtail and Full Suspension both have pluses and minuses but I think the hardtail is appropriate for this bike. The frame of the bike needs to be strong enough to take a tumble but light enough for easy movement. The Overdrive has a full carbon fiber monocoque frame made with DBR AMMP XC carbon technology. Diamondback creates the frame with a unique process called Advanced Monocoque Molding Process. While the specifics are secret, I do know the frame is molded as one unit. This helps increase the responsive thickness of the carbon. The frame has front and rear 142 x 12 axles with a PF30 bottom bracket. The tapered headtube has a bit of extra rigidity. The Rockshox Reba RL 29er with 120 mm absorbs bounces and bumps. There’s also a compression lockout, which is used for short-term riding on paved surfaces. Shifting is fast and simple. The SRAM GX1 1 x 11 X-Horizon groupset has a 10-42T cassette in back which matches to a single-ring 34-T up-front. Fast bikes need dependable brakes. After all, speed isn’t good if you can’t control where you’re going. I had no issues slowing and stopping the bike even in slick off-road conditions. The Overdrive uses Shimano SLX BR-M7000 hydraulic disc brakes. When the rubber meets the road, this bike delivers. The Overdrive Carbon Pro has Kenda Honey Badger 29-inch tires with DB Blanchard 25R tubeless ready rims. What Makes the Diamondback Overdrive Carbon Pro 29er Unique? The Rockshox Reba RL 29er fork has 120mm travel and a 15mm thru ankle, which helps keep the bike steady and smooth even at high speeds over rough terrain. The fork has a three-position remote lockout. With just a quick thumb click you can set the bike between hard, soft and medium. The medium setting was new to me and I found it a great option for slightly muddy, rocky terrain. If you’re riding around a racetrack or open area, precision steering isn’t a huge concern. Sure, you need to move the bike, but you probably aren’t weaving between obstacles very often. Off-road riding is a different story. Trees, rocks and other natural wonders don’t care much about creating an easy bike path. Quick-response steering is a must for biking through woods and mountains. The bike’s rear triangle is purposefully kept short which lets you pop up the front wheel easily. 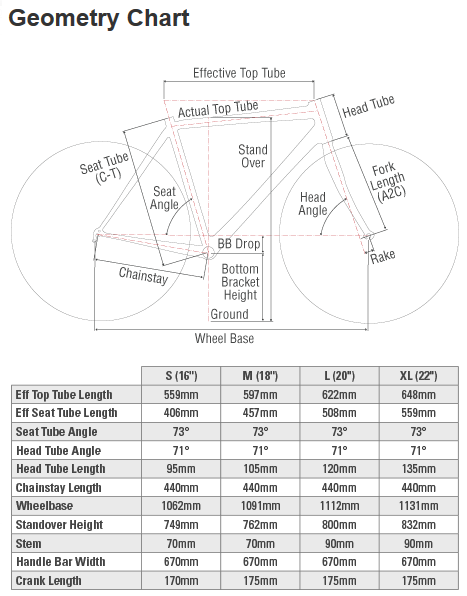 The 17.3-inch chainstay isn’t very common in a bike with a 29-inch wheel. Be careful if you’re mainly familiar with 26-inch wheels on a bike. You need to shift your weight back and pull up a bit more with a 29 than you’re probably used to with a 26. Otherwise, you’re likely to plow the front tire right into the object you’re attempting to ride over. After reaching top speeds, the bike should really be doing most of the work. Even relatively weak pedaling translates into powerful forward motion. At the same time, the bike is soft enough to avoid excessive shaking when riding over bumps. This is one of the few bikes I’ve ridden where I didn’t need to add ergo grips. I was able to reach high speeds without wearing myself out due to over-pedaling. For such a fast bike, I was surprised by its efficiency. Plus, the bike is extremely high quality. Not only will you have a hard time finding a faster bike for the price, but you’ll also have a hard time finding a faster bike at any price. Breezer Supercell Pro 29er: Do you prefer long bike rides instead of fast ones? The Breezer Supercell has a unique frame and pedal structure designed to stay comfortable on marathon rides. Perfect for endurance runs! Don’t worry – the Supercell is plenty fast. Just not as fast as the Overdrive. Click or tap here to learn more about the Breezer Supercell Pro 29er. Breezer Thunder 29 Pro Mountain Bike: The Thunder 29 Pro is one of Breezer’s fastest bikes. With a Shimano SLX/Deore 2 x 10 speed drivetrain, the Thunder Pro gives the Diamondback Overdrive a real run for the money. If you want a fast bike, but prefer the Breezer brand over Diamondback, the Thunder Pro is worth consideration. The Thunder’s large tires help it conquer tough outdoor terrain. Click or tap here to learn more about the Breezer Thunder 29 Pro Mountain Bike. Steppenwolf Tundra Carbon Pro Hardtail: This is a fast bike with a low-price tag. The Steppenwolf Tundra is cheaper than the Overdrive, but the overall quality of the components is a bit lower. The Tundra is a budget-minded bike built for speed. Perfect for those new to mountain biking who want to explore the sport without breaking the bank. Click or tap here to learn more about the Steppenwolf Tundra Carbon Pro Hardtail. The Diamondback Overdrive Carbon Pro 29er delivers all the speed a rider can handle — and possibly even a bit more. This is a fast bike with high quality components from handlebars to tires. Everything about this bike is built for speed. The full carbon fiber monocoque frame is custom-molded to increase the carbon’s thickness without adding extra weight. The speed of this bike surprised me at first. So, I spent a fair amount of time in flat, open terrain picking up speeds then quickly breaking. Fortunately, I never got the sense I was sacrificing safety for speed. The Shimano SLX BR-M7000 hydraulic disc brakes stop the bike even in wet, muddy, downhill conditions. Plus, the 29-inch Kenda Honey Badger 29 x 2-inch tires roll unimpeded over rocks, roots and whatever else nature puts in your path. After writing my Diamondback Overdrive Carbon Pro 29er review, I feel absolutely confident recommending this bike to every speed-loving mountain biker. The Diamondback Overdrive Carbon Pro 29er combines lightweight durability, precision handling and – above all — blazing fast speed.